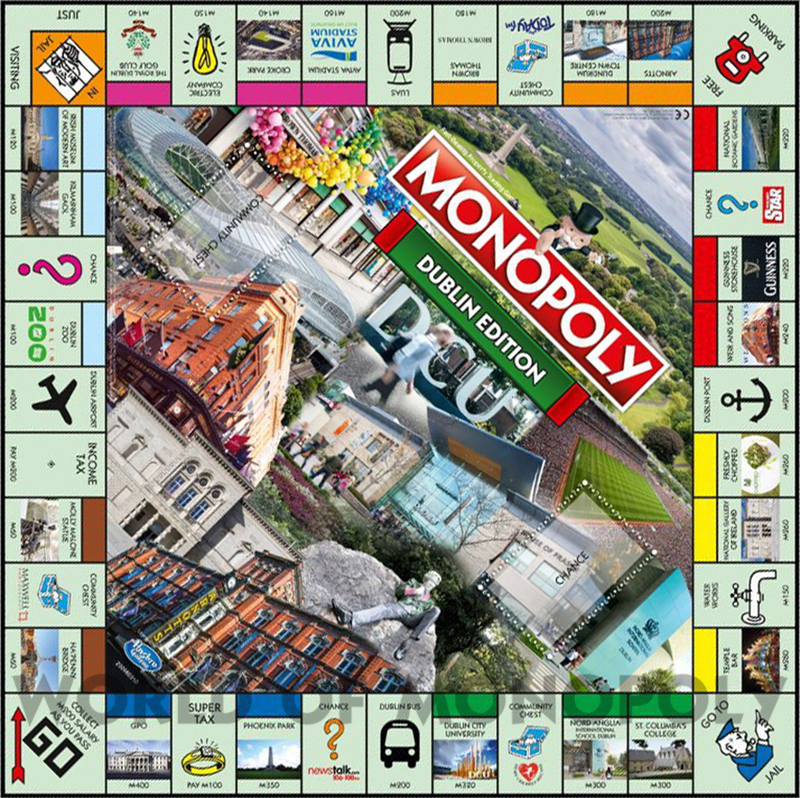 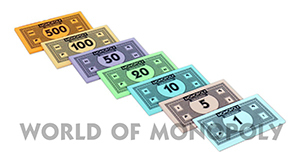 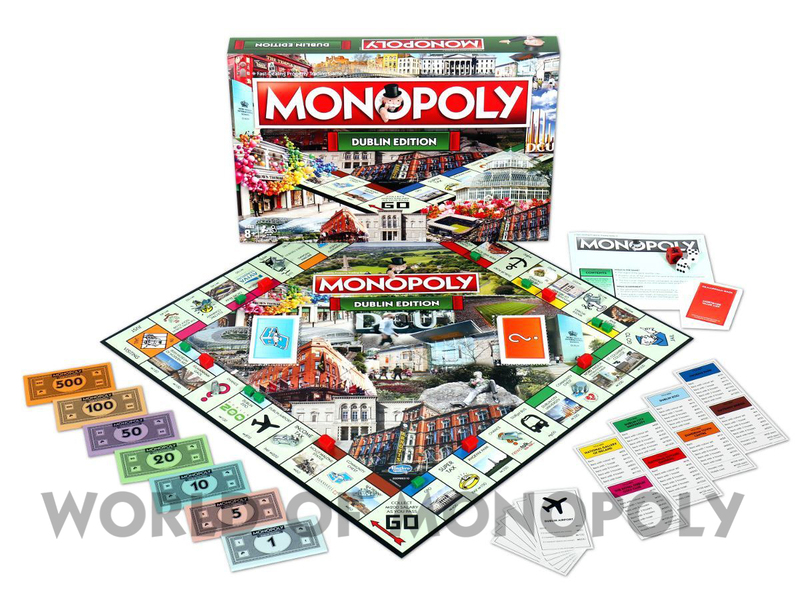 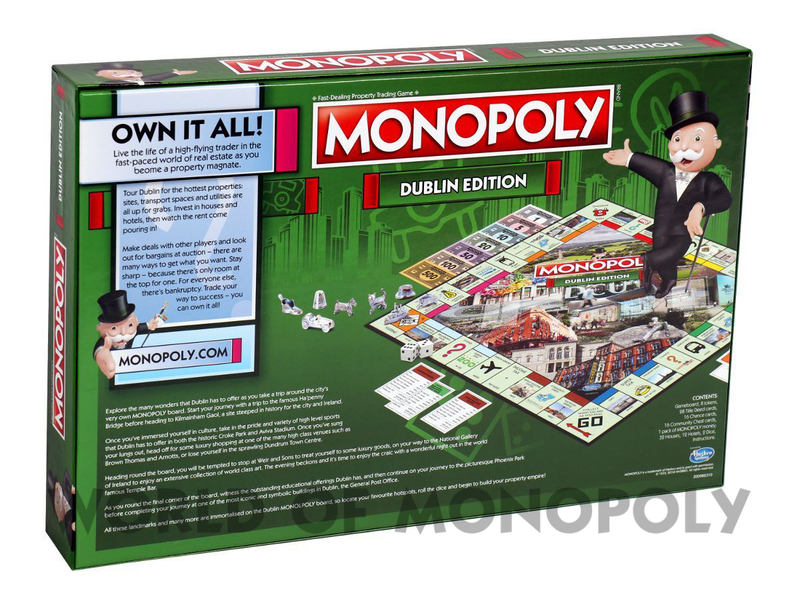 MONOPOLY, the great property trading board game finds its home in the picturesque capital city of Ireland, Dublin: a city full of history and breathtaking scenery. 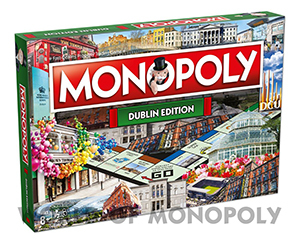 Journey around the gameboard and explore attractions including: Ha’Penny Bridge, the Irish Museum of Modern Art, or even Phoenix Park. 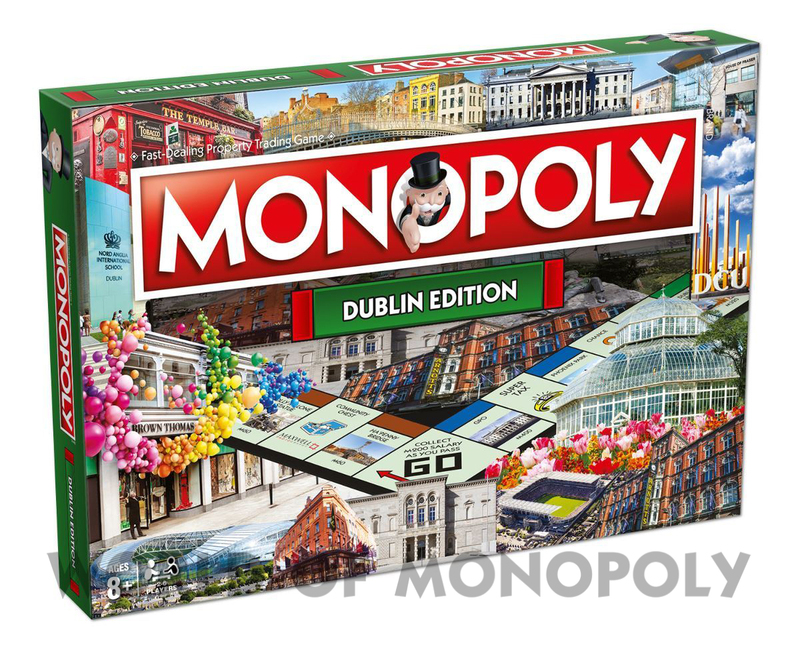 Don’t forget to stop off for some refreshments en route at Temple Bar or treat yourself to some retail therapy at Arnotts Department Store, followed by some delicious healthy food at Freshly Chopped. 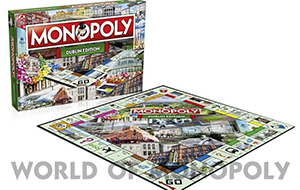 Choose your favourite token, tour the exciting sights of Dublin, including the National Botanic gardens and Kilmainham Gaol, and accumulate fortunes, but watch out for taxes, jail and bankruptcy. 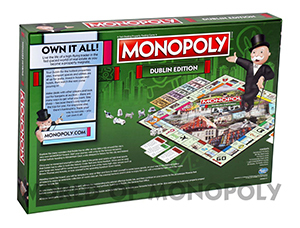 Advance to Weir and Sons or even GPO - will you owe rent or reap the rewards?